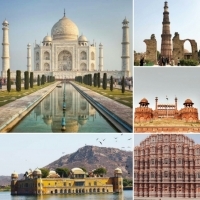 This tourist circuit of Delhi, Agra and Jaipur always offer a lifetime memory for any traveler. One will get experience of different landscapes. 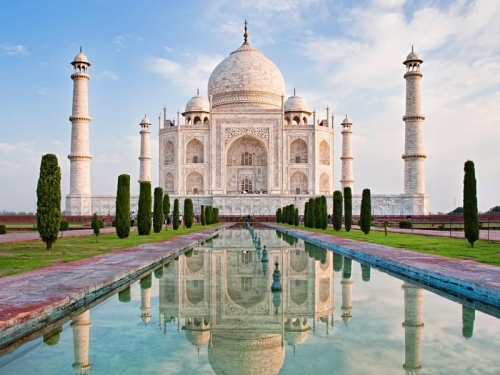 Taj Mahal - one of the 7 wonders of the world, Fatehpur Sikri, Agra Fort from Mughal Dynasty are some of the main attractions in Agra. Humayuns tomb, Hawa Mahal / palace of breeze are a couple of others on this circuit. On your arrival at Delhi Airport meet our representative and drive towards your hotel. Later proceed for sightseeing of Delhi. Drive through the majestic boulevards of New Delhi designed by the British architect, Sir Edwin Lutyens in 1920. Lutyens' Delhi includes the grand government buildings and parliament house, the India gate and "Rashtrapati Bhawan" - the presidential palace. 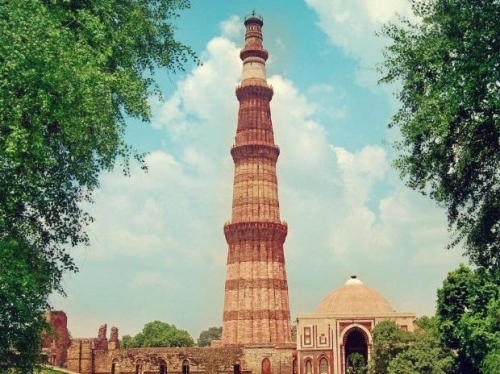 Also visit the 234 foot high Qutab Minar and Humayun's tomb; built in the 16th century by the second Mughal emperor, this is an early example of Mughal architecture. Overnight at the hotel. 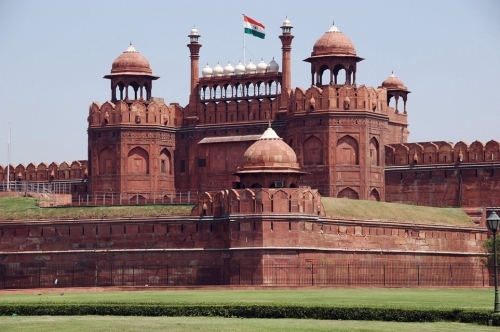 After breakfast, visit Old Delhi, which has some dramatic remnants of the Mughal Empires. Drive past the Red Fort and visit the Jama Masjid, India’s largest mosque, both built by Emperor Shah Jehan. Walk through the narrow lanes of colorful and bustling Chandni Chowk culminating the tour with a photo stop at Rajghat, the site of Mahatma Gandhi's cremation. Overnight at the hotel. Morning depart for Agra.On arrival check-in to the hotel. 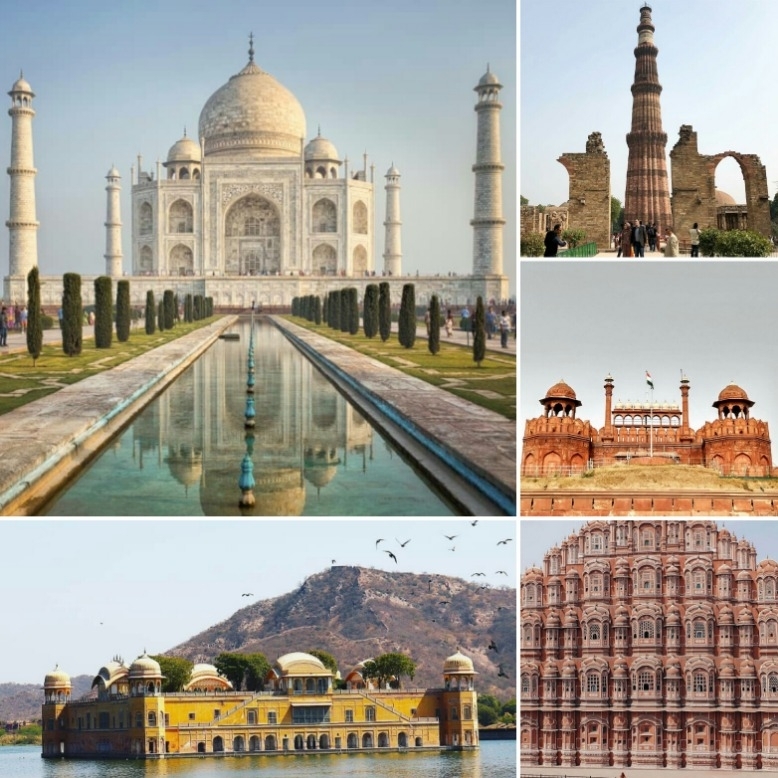 PM sightseeing tour of Agra city visiting the impressive Agra Fort, the Local Bazaar and of course, the most perfect architectural monument in the World the Taj Mahal by the sun set time and Dayal Bagh a pilgrim center for Radhaswami sects. Overnight at hotel.. Morning drive from Agra to Jaipur en-route visiting Fatehpur Sikri – the deserted Red Sand Stone City that was built by Emperor Akbar as his capital and Palace in the 16th Century. On arrival in Jaipur check-in to the hotel. Later visit Birla Mandir Sanganeri Printingshowroom. An option exists to have dinner at Chokhi Dhani the famous resort (25 Kms off from Jaipur) to have Rajasthani cultural evening and typical Rajasthani vegetarian sit down dinner (on own). Overnight at the hotel. Early morning we start with the City tour and excursion to Amber Fort. 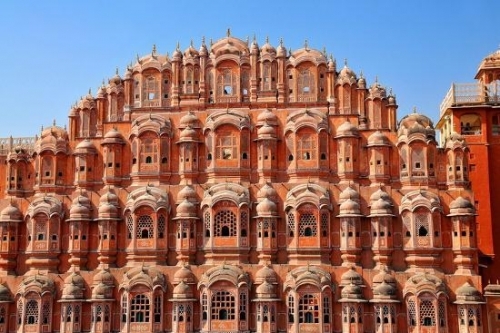 The city tour includes a photo stop at Hawa Mahal, later proceed to Amber Fort- you can enjoy an elephant ride up to the fort (on own). Return to the city and view the City Palace Museum, Jantar Mantar – The Observatory, Albert Museum, etc. Evening is free at leisure or you can enjoy shopping in the local markets of Jaipur. Overnight at the hotel. After breakfast, proceed to the airport / railway station to board your flight/train for your onward journey.